Archer with a longbow, illustration. As the arrow is drawn back on the bowstring, work is done by the archer applying force over a distance. The force that the archer applies is called the draw weight. This force bends the limbs of the bow and the work done is converted into elastic potential energy stored in the bow. 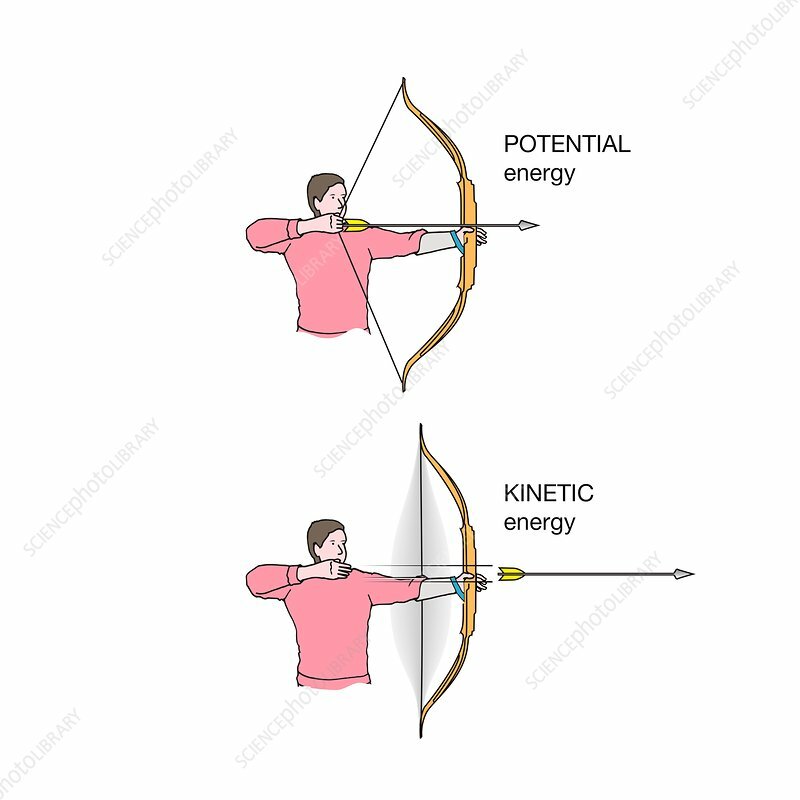 The potential energy is then rapidly converted into kinetic energy as the arrow is released.